still hopeful that I, too, one day will have a photo to post. @@bettel, we are just impressed that you were able to get this sighting and get some photos! Wonderful to see. This creature is very high up on my wish list. @@wenchy, yes, gorgeous, thank you. @@marg, I wish you pangolins! 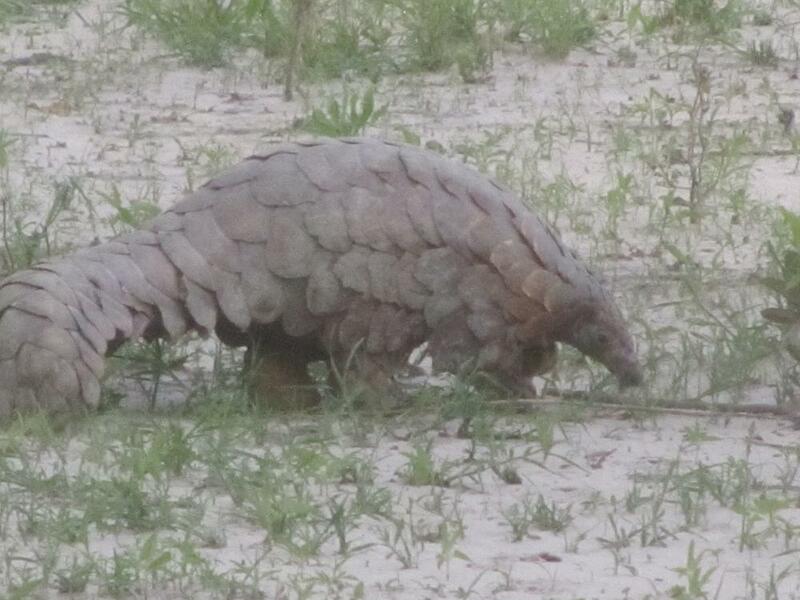 Pangolin and Aardvark on the same trip! Really wow. 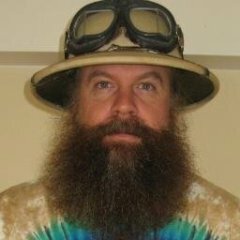 Is your next post going to be the loch ness monster,@@bushmaniac? Again still not jealous much! @@Towlersonsafari - I'm still looking for that black leopard! Going out on a limb here and saying that Tswalu is where you have the best chance for pangolin in southern Africa - the lion cubs there are often the ones who find them first (as was the case with us). PS: Also saw aardvark there! Yes @@Sangeeta, it was at Tswalu. 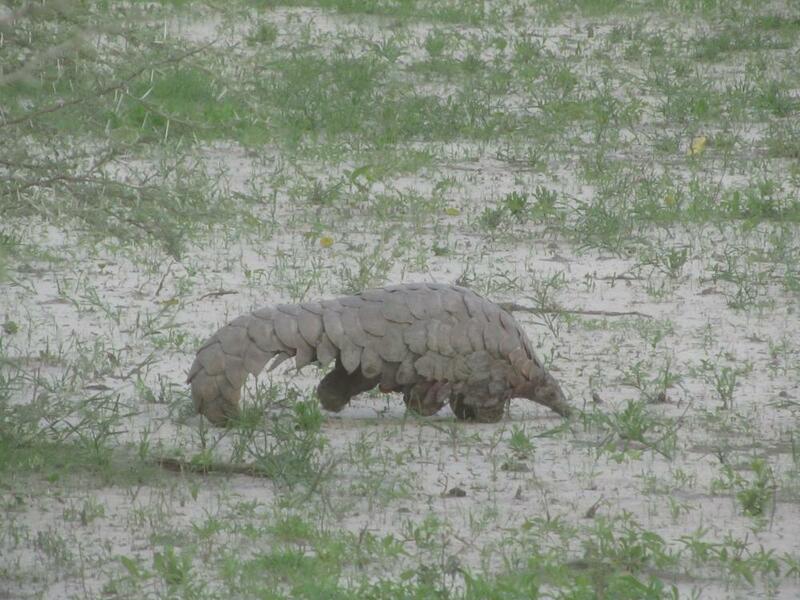 I would agree, if you want to see aardvark and pangolin during the day, then Tswalu in winter is the place to go. And yes, @@bushmaniac , we insist on a report. Just WOW to what you saw!. @@Sangeeta OR more talking AND more pictures! Thanks to @@Sangeeta and @@bushmaniac, I have decided to visit Tswalu in 2017. I realize that there is no better place to see so many of my dream animals in one place including pangolin bat-eared fox, and even caracal. My only question is, how long should I stay there? I think 5 days to one week would be about right. What a grand entry — pangolin images! 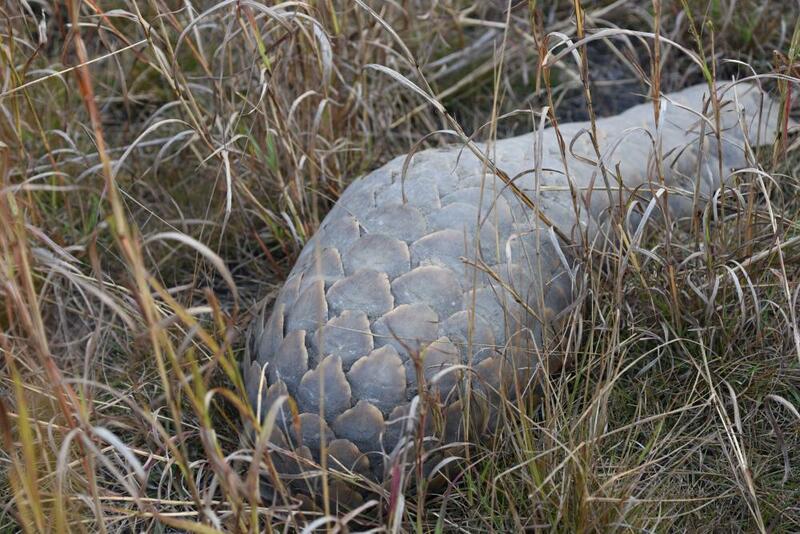 To hear that sort of “rattling tall grass” with no less than a pangolin must have been quite a thrill! Thank you so much for sharing the photos here. If it's ever comfortable and convenient, it would be nice to read your self-introduction in the Introductions section. As if a pangolin wasn't enough, an aardwolf, too? The safari angels were looking after you! Until I saw your post, I'd never heard of the Lumo Conservancy. Thank you for mentioning it. It's between Tsavo West and Tsavo East, near Taita Hills? That's close to Lake Jipe, isn't it? @@Safaridude may have recently visited there. Great photos, @@Patty! What a sighting! I have not been to Lumo, though I have driven past there twice a few years ago. I would say it's more than a couple of hours of driving from there to Lake Jipe. @@Tom Kellie, yes near Taita Hills. I would guess Lumo to Tsavo West Maktau gate is around an hour (we didn't travel directly there). I haven't been to Lake Jipe but would guess that to be another 2-3 hours from Maktau gate. Does that sound about right @@Safaridude? This one was seen around 20 January in the Xini area of the Moremi Game Reserve in Botswana. One hind-leg seemed to be weak and the animal used it's tail as support when walking. Just had a small camera so no good pics. Very cool sighting, and welcome to Safaritalk, @@Hemingway ! Any sighting is a good sighting. 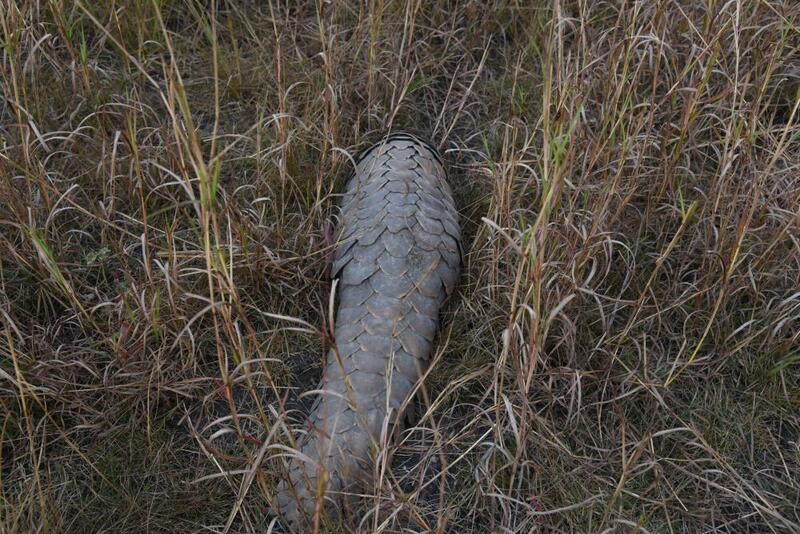 So my only sighting of a Pangolin was in the Masai mara. We were driving along the road which comes in from behind Mara Serena lodge. We noticed a vehicle which was parked just off the road, what were they looking at? We could not see anything obvious so drove closer. The closer we got the more confused we were as there was definitely nothing to be seen.It was only when we were within 10 mteters of the vehicle we realised what they were looking at, a Pangolin, asleep on the side of the road. Taken in low light. As my teacher would say: could do better. 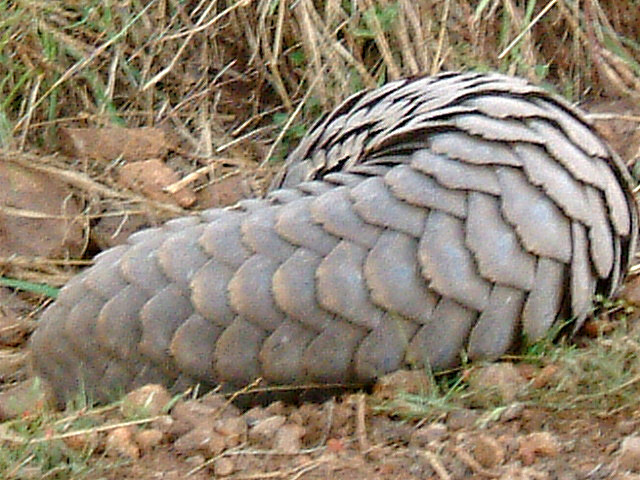 So perhaps @@Safaridude it was a pangolin I saw after all in the Masai Mara?